Amazon is not content with just a personal assistant -- the company has made Alexa into a personal stylist, too. On Wednesday, Amazon introduced the Echo Look. It's part camera, part Alexa, part fashionista. The oval-shaped device has LED lights and a voice-controlled camera that lets you take full-body photos and videos to collect and compare outfits. Echo Look does everything the Amazon Echo speaker does -- like read the news and weather -- but it can now tell you what to wear. 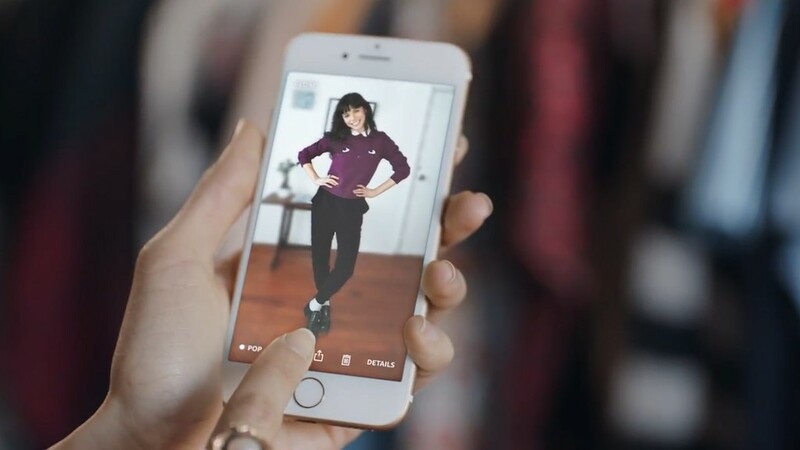 A compatible app keeps track of different outfits in what Amazon calls a "personal lookbook." And its "Style Check" feature is like having a fashion judge in your pocket. Style Check lets you select two photos and have Alexa determine which one is better. It is powered by both machine-learning technology and human opinion. An Amazon spokesperson said the automated results consider "fit, color, styling, seasons and current trends." Amazon's "fashion specialists" also help train the software to be a better judge of style. The Echo Look will cost $200 once available. For now, you have to request an invitation to buy one. But Amazon (AMZN) didn't share many details about the computers, or the humans, powering Echo Look. The company would not say whom its fashion specialists are, and whether they judge individuals directly or simply tell software what looks good. Amazon said the software was trained on a diverse set of individuals with different body types and skin tone, but did not elaborate further. Amazon is reluctant to explain the technical details behind its automated outfit judge, but its launch raises interesting questions about both fashion and how much artificial intelligence will impact our personal decision-making. Fashion is very personal; it's self-expression, it's comfort. It's very rarely ones and zeroes. But computers are trained on ones and zeroes. Artificial intelligence does not experience human emotion -- it makes rational and logical decisions. Meanwhile human opinions on fashion, whether they are from trusted sources or not, vary widely. One fashion expert could say something is beautiful, while another pans it. Fashion is often an expression of human emotion, which could be difficult for a computer to judge. But the computer's fashion choices may appeal to the lazy 20-something in us all, who doesn't want to make a decision about what to wear to work -- or, at least, to "Clueless" fans who always wanted Cher Horowitz's closet.